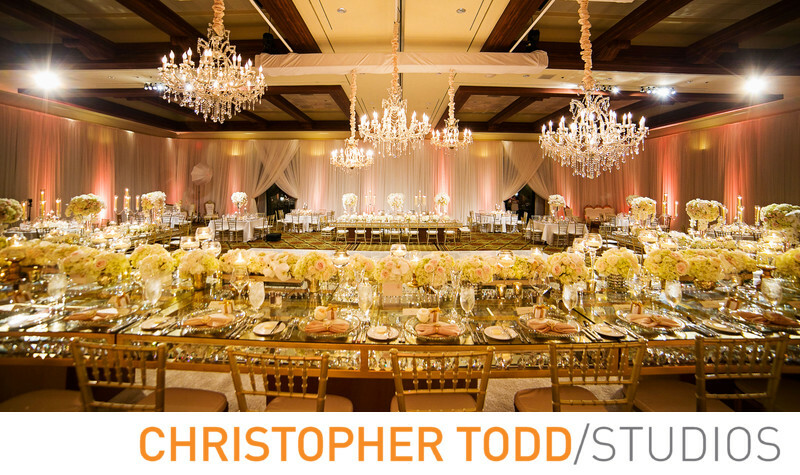 Hyatt Huntington Beach Wedding Reception in the ballroom is elegant and classy. This photo show how beautifully decorated the space is with curtains, lighting, chandeliers, and tablescapes with floral arrangements on them. Ample space for all your wedding guests to enjoy an evening of fine dining and dancing.